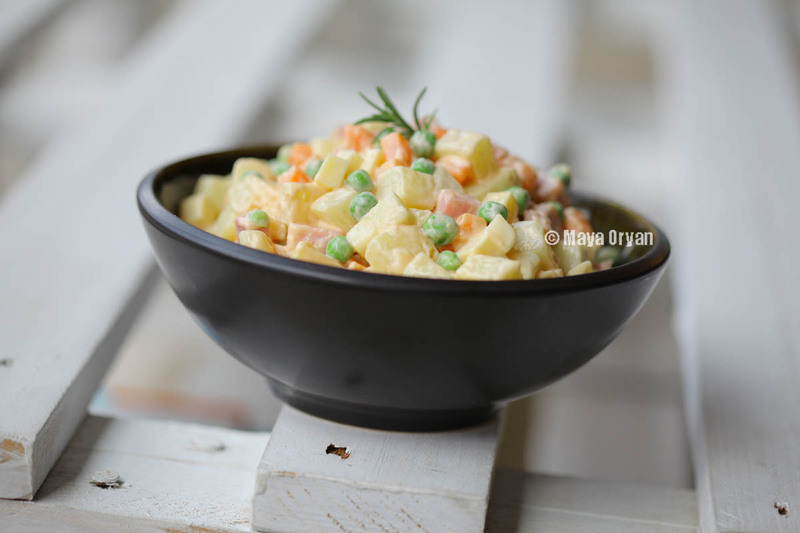 This entry was posted in Salads and tagged apple, carrots, celery, dressing, food photography, food stylist lebanon, granny smith, green apples, ham, honey, lebanese food blogger, Maya Oryan, MayasIngredients, pickles, Polish Vegetable Salad, potatoes, roots, russian salad, Salad, salade russe, Salatka Jarzynowa, serrano by Maya Oryan. Bookmark the permalink. I’m so happy this salad has finally a proper recipe. I tried it and tasted it and it’s yummy!